An elderly lady recently contacted The Ambler as she is concerned about the speed of vehicles along Percy Drive. The resident of Hauxley Way who is in her 80s says she is worried about crossing the road these days, as there is no pedestrian crossing, and the volume of traffic has increased in recent months. She has called for a speed check on traffic along Percy Drive, and has asked whether it is possible to have a pedestrian crossing. The lady, who didn’t wish to be named, told The Ambler, “I am registered with impaired sight, and I also walk with a stick. The traffic along Percy Drive gathers speed after 4 o’clock and it’s a bit scary trying to cross the road. I think they should check the speeds people are driving. 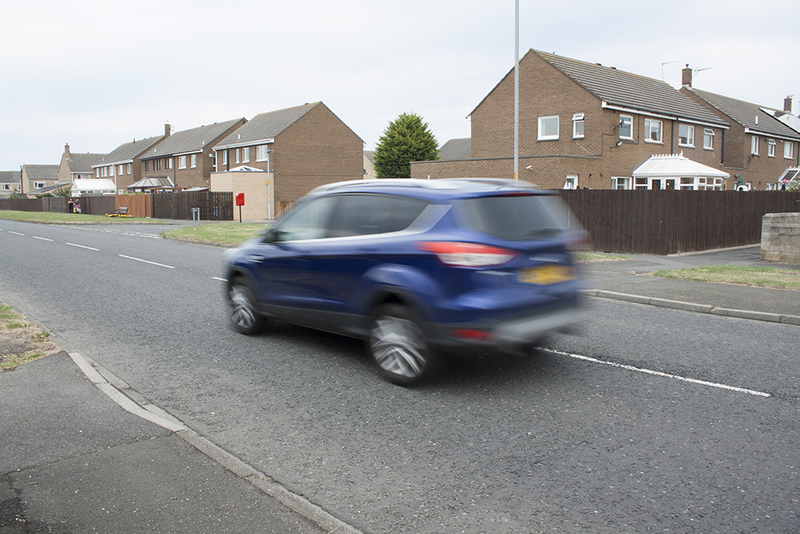 The Ambler contacted both County Councillors and the Town Council asking if there was a history of problems with speeding vehicles along Percy Drive. “I have had many complaints from elderly residents crossing roads from Aidan Road, Bede Street, Newburgh Street, and I will report the speeding issue along Percy Sreet,” said County Councillor Terry Clark. However more data is needed to prove that speeding is indeed a problem. The Town Council have asked if the mobile speed camera could be placed there occasionally to check speeds. The elderly resident was also concerned at the bumpy pavements from Dolphin Court to the Health Centre, after an uneven pavement elsewhere in Amble caused a nasty fall in the past. She is trying to be active and as independent as she can be, but her confidence is waning. Terry Clark explained to The Ambler that cracks and edges have to be deeper than 20mm before the county council will renew or fix them. He said “I have reported certain stretches on numerous occasions and the council will not fix because it’s under the 20mm. 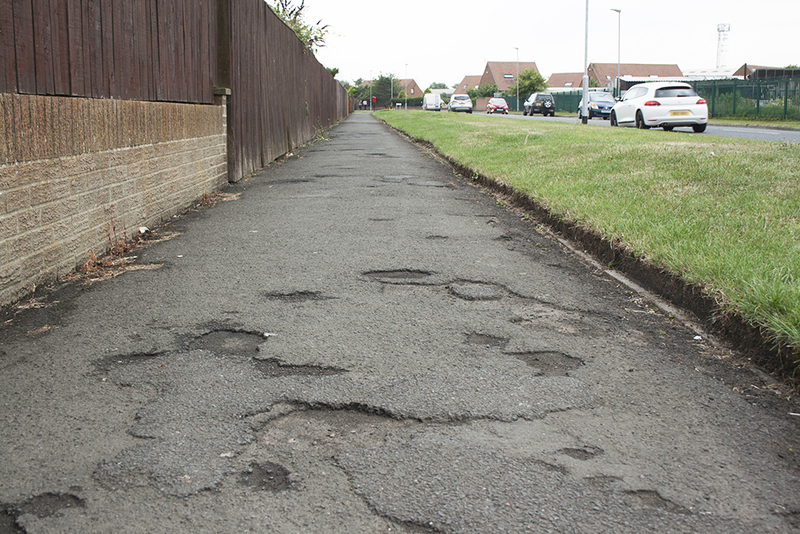 And the Town Council are asking concerned members of the public to contact Terry Clark who is compiling a report on deteriorating footpaths in the town, to present to NCC. One thought on "Time to think of pedestrians"
To add on to this article we also have the problem of speed on Bede Street. The new 20 mile signs don’t seem to have been noticed as cars are still using the road as a formula one track. School term is about to start and I fear it will take a bad accident before something better that small speed limit signs will be put in place.